Record number of migrants and refugees enter Europe in October. 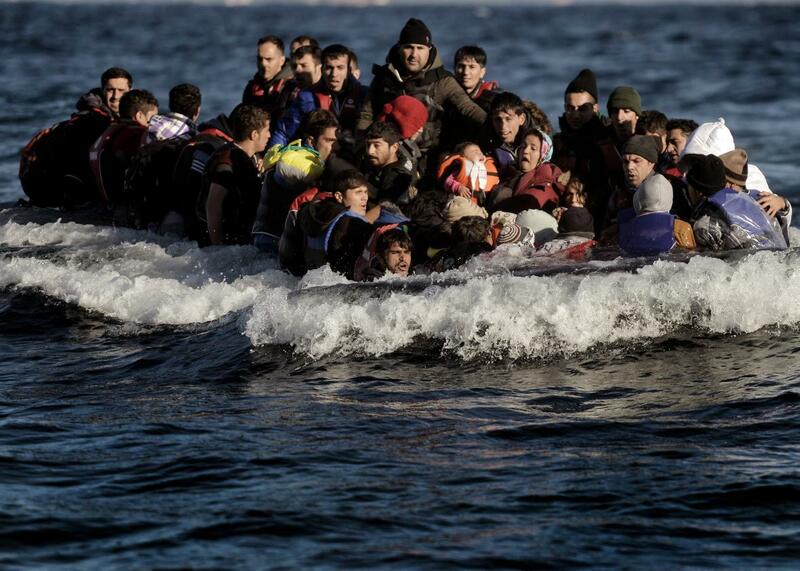 Refugees and migrants arrive on the Greek island of Lesbos after crossing the Aegean Sea from Turkey on Nov. 2, 2015. While Europe’s refugee crisis is getting less U.S. media attention and causing less outrage on your Facebook feed, since the brief flurry of coverage that followed Syrian toddler Aylan Kurdi’s death in early September, the situation has only been worsening. According to the U.N. High Commissioner for Refugees, a record 218,394 migrants and refugees reached Europe by sea in October. The total for all of last year was around 219,000. Of this year’s arrivals, 210,265 made the dangerous journey across the Aegean to Greece, many of them refugees from Syria, while 8,129 mainly from Northern Africa crossed the Mediterranean to Europe. Drownings and other deaths continue, including more than 70 children who have died making the same crossing as Kurdi did since his death. Europe’s response to the crisis remains paralyzed by division, despite an EU agreement last month to distribute new arrivals throughout the 28-country bloc. Germany is still the destination of choice for most of the arrivals and has been the most welcoming to them: the New York Times reported over the weekend on one town of 102 people that has been instructed by the government to take in 750 asylum-seekers. Meanwhile, countries like Austria and Slovenia are considering new border fences to keep refugees out, following Hungary’s example, and Poland recently elected a new government likely to be far more restrictive in its refugee policy. Border controls have already stranded thousands throughout the Balkans, and humanitarian groups warn that conditions in the already overcrowded refugee camps in the region are likely to worsen as winter sets in. Meanwhile, there’s little reason to expect the flow to cease as long as the violence in Syria—as well as to a lesser extent Afghanistan, Iraq, and Gaza—continues.